When pain from muscle strains, old or new injuries, repetitive motion, or a sedentary lifestyle adversely affect your quality of life, Windmill Health Center provides quality chiropractic care in Weston, FL that gets to the source of the trouble. Chronic pain can be debilitating, and it isn’t uncommon for sufferers to turn to surgery when conventional pain relief fails. But surgery isn’t always the best option; often, it is unnecessary, and many times, it is ineffective. If you suffer from back, neck, or shoulder pain and can’t seem to find relief, try chiropractic care for a non-invasive, non-pharmaceutical solution that addresses the source of the problem, not just the symptoms. Windmill Health Center in Weston, FL corrects spinal function and alignment, restoring the body’s natural balance so that those suffering from acute or chronic pain may enjoy an improved quality of life. Using traditional and advanced chiropractic techniques and other complimentary treatments as needed, Windmill Health Center helps your body get back on track so that it can heal itself and put an end to the pain. Our Weston chiropractors also provide instruction so that patients will possess the skills and knowledge to direct their own wellness and prevention. Standard medical care treats symptoms with medications, surgery, and other procedures. Chiropractic care returns the body to a state of balance and wellness. Though your Weston chiropractor may use diagnostic tests, such as x-rays, to determine the source of your pain, your exam and evaluation doesn’t end there. Your chiropractor will also ask questions to help determine whether other factors could be affecting your health, as well, such as habits, stressors, and lifestyle factors. With chiropractic care and a wellness plan, the body’s natural ability to heal itself is unlocked by correcting those things that interfere with its normal function. Wellness isn’t simply the absence of sickness or pain; wellness means that the body is functioning properly and efficiently. Allergy Elimination (NAET) can alleviate allergy problems by restoring balance to the body. Massage Therapy provides numerous benefits to the body, which are exponential when used in conjunction with chiropractic treatment. 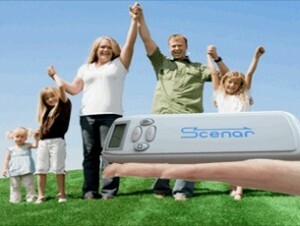 RITM Scenar Therapy delivers non-invasive computer modulated therapeutic e-stim through the skin to relieve pain. Spider Kinesio Taping is a rehabilitative technique which provides muscle and joint stability while promoting the body’s own natural healing process. Chiropractors are “real doctors.” Licensed in every state as health care providers, your chiropractor holds a doctorate in chiropractic and has been through the rigors of testing, licensing, and monitoring by state and national boards just as their medical counterparts have. 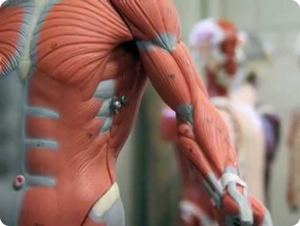 The thing that differentiates your chiropractor from an M.D. is that chiropractors are the only health care professionals that have the training to diagnose and treat spinal subluxation. Subluxation can cause a number of problems due to the fact that it distorts the balance of the body as a whole, inhibiting the body’s natural healing ability. Chiropractors are trained to return the spine to its proper position, which is known as an adjustment. Once the adjustment is performed, the body regains its ability to heal. This return to balance is the first step to wellness. If you live with acute or chronic pain, Windmill Health Center provides a means to not only alleviate the pain, but to help you achieve your maximum level of health and wellness so that you will not only feel better, but enjoy life more fully. 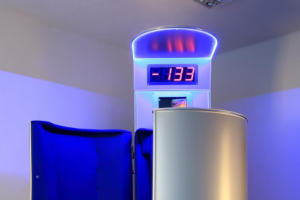 Our Weston chiropractic center offers the most up-to-date treatments available in the field. Windmill Health Center and Weston chiropractors Dr. Marc Browner, D.C., Dr. Rick Behar, D.C. and Dr. Eliot Corvin, D.C. provide a specialized family wellness practice that helps patients overcome neck and back pain, headaches, auto accident injuries, sports injuries, and other sources of pain. Through the correction of spinal subluxation, our Weston chiropractic practice provides a pathway to freedom from pain and a better quality of living. If you are living with acute or chronic pain and haven’t tried chiropractic care, call 954.217.4881 for more information or to set an appointment. You may also contact Windmill Health Center by email at info@windmillhealthcenter.com. I read this article and found it very interesting, thought it might be something for you. The article is called Is Pain Ruining Your Life? 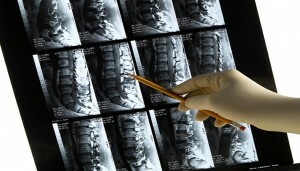 Chiropractic Care in Weston, FL Eliminates Pain at the Source and is located at http://www.windmillhealthcenter.com/.